Single-use technologies offer significant advantages over traditional stainless-steel solutions for biopharmaceutical manufacturing. Reductions in setup times, cleaning and cleaning-validation costs, elimination of cross-contamination risks, and smaller footprints are just some of the benefits they provide. Although adoption of single-use systems (SUS) for commercial manufacturing is expanding, concerns persist that extractable and leachable (E&L) compounds from plastic SUS components potentially can leach into final drug products and compromise efficacy and safety. Those concerns are magnified amid the growing number of SUS suppliers and the complex supply chain for SUS and disposable components. In addition, although all equipment used for manufacturing biologic drug substances and drug products must meet current good manufacturing practice (CGMP) requirements (1) and be free of materials that can affect the safety or efficacy of drug products (2), no specific regulatory guidelines or industry standards pertain to performance of E&L studies for SUS. 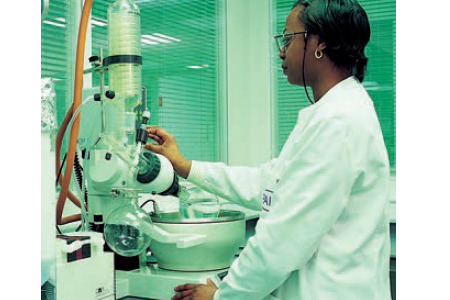 To provide SUS suppliers with a common format for conducting extractables studies and reporting results, the BioPhorum Operations Group (BPOG) — an industry trade group that represents leading biopharmaceutical manufacturers and SUS end users — published a standardized extractables testing protocol (3). Sharing this knowledge with the biopharmaceutical manufacturing industry not only facilitates SUS adoption, but is crucial to furthering development of effective and practical standardized protocols for disposable technologies. Here we describe some analytical challenges faced when implementing the BPOG protocol for four SUS components.